The kids finally go back to school (! 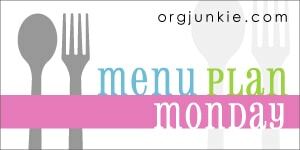 ), it’s Family Meals Month and Fruit & Veggie Month, plus this week’s Menu Plan Monday and Link Love. Guess what? My girls finally started school! I know, I know…this isn’t such exciting news for you, but after four weeks of them being home since camp ended, I am thrilled that they are back to a routine! It didn’t hit me until today though how bittersweet this year is for me. The girls are starting their last year of preschool, which in itself is emotional, but on top of it, for the first time they will be in separate classes. 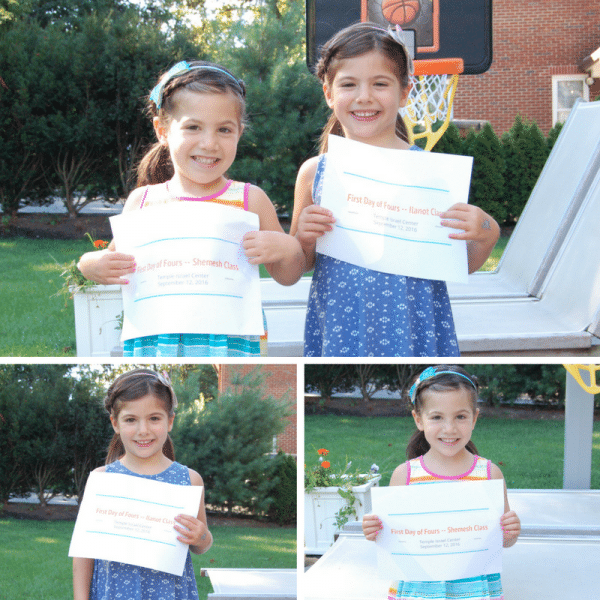 Here are some pictures of them from this morning before they left for school. Now that school is back in session, it’s time to get those lunchboxes packed! I’m going to try to include what I pack for their lunch in my Menu Plan Monday posts going forward. We’ll see if I can stick with it, but it certainly will help me and I hope it helps and inspires you too if you’re packing lunchboxes all week long! And don’t forget: if you need other lunch inspiration, be sure to check out my Quick, Easy, and Healthy School Lunch Ideas! This week’s Link Love is on the shorter side, but boy are the articles and recipes good ones, especially for those of you with families. Be sure to check them out. And by the way, this month is Family Meals Month and Fruits and Veggies – More Matters Month, so a perfect time to focus on meal prep, work on improving fruit and vegetable intake in your kids (and yourself! ), and get some quick and easy meals on the table for the whole family to enjoy! ⇒ Feeding kids is hard work – even for a registered dietitian nutritionist! Kathryn shares 11 tips, strategies, and ideas from dietitians, including yours truly, to help make it a little easier for you and your family. 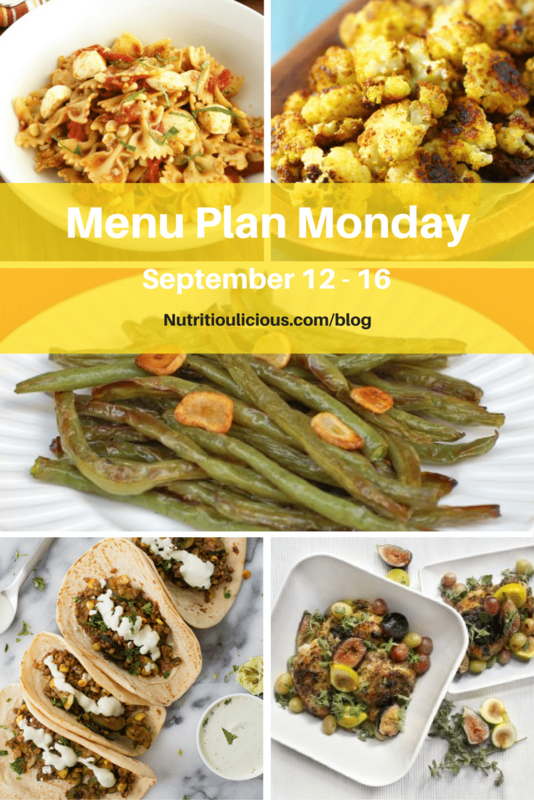 ⇒ You know I’m all about meal prep and menu planning! And what family isn’t busy?! None I know of! To help your family out, Marie has compiled a bunch of great meal prep and planning tips (including some of my own)! ⇒ OMG, how good do these look?! And you’ll never guess what’s in them that’s actually good for you! ⇒ I can’t ever have too many quick dinner recipes for those busy weeknights and I’m sure you can’t either! Thanks so much Jeanette! Meal planning is def a lot of work, but it saves me all the time! Thanks so much for the link love, Jessica! Lots of great posts and recipes to check out. And your daughters are adorable. Reminds me of when mine were little. Seems like yesterday. You’re most welcome Marie! Hope you find some recipes to enjoy! And thank you – time is really going by too fast!